1.5 grams of fat and only 25 calories, 14% magnesium and 8 % of the iron from the RDA . According to many studies , a cup of hot cocoa contains more antioxidants than a glass of red wine or a cup of tea. 2) Improves memory and resistance to stress . Scientists have proved that to reduce the negative effects of stress should eat 1-2 cups of cocoa a day. 2) Protect your skin from the harmful effects of free radicals and accelerate cell regeneration . 3) Reduce the risk of developing diabetes. 4) Prevents the development of cardiovascular diseases and strengthens the walls of the arteries. 5 ) Clears the liver from toxins. 6) Slow down aging of the skin . 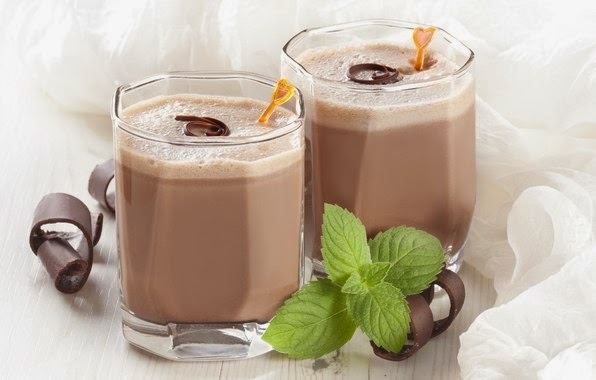 Regular consumption of cocoa improves the appearance of the skin and slows down the aging process. 7) Reduces the risk of cancer. Suffice it to 1-2 cups a day is better with skim milk .